It’s a humid July night at World War I Memorial Stadium. Most Kansas State students are gone for the summer, but it’s not quiet. A rather large group of students have gathered on the field. They’re bowling, but they’re not rolling strikes. In fact, they’re not rolling anything at all. Bowling, on this particular night, means something different. These K-State cricket players participated in the Indian Students Association’s annual Cricket Cup Tournament Friday through Sunday. Arvind Kannan, graduate student in civil engineering and ISA president, said there is a good turnout every year for the Cricket Cup. As a participant of last year’s Cricket Cup, Kannan said not everyone who plays is Indian. Kannan said when faculty and their families are included, ISA consists of about 600 members, but there are 14 executive staff members who help organize the events. Jayendra Amamcharla, ISA’s faculty advisor, said the students who volunteer for ISA put forth a great deal of time and effort. They organize everything themselves. Amamcharla said a key role of the organization is to welcome the newcomers from India and help them with tasks such as getting to campus from the airport. 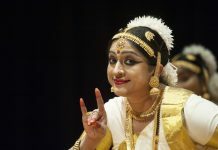 “The organization is made so the students don’t miss India,” Amamcharla said. Prashant Kapopara, a fourth-year Indian student at India’s Shree Swami Atmanand Saraswati Institute of Technology, arrived in Manhattan in mid-August to study engineering for the summer. Over 8,000 miles away from his residence in Gujarat, India, Kapopara said he never expected to be playing cricket when he arrived. Kapopara said he is one of 35 students from Gujarat who came to K-State for the summer. The group of Gujaratis formed two teams at the cricket tournament. 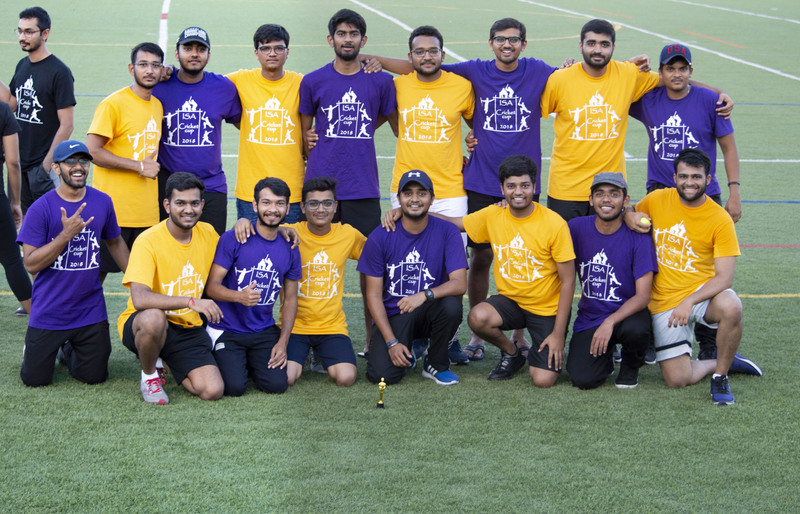 Meetha James, ISA event planner and graduate student in sensory science, said the Cricket Cup was intentionally planned to take place during the summer as ISA anticipated the summer visitors. James said this is her first large event since becoming an event planner, but the executive staff works well together to split up the responsibilities, and it’s been a success. She said she has a passion for photography and takes all of the photos for ISA events as well. In a traditional cricket match, each team is given one chance to bat and one chance to field, referred to as innings. In each inning, the batting team is allowed six legitimate bowls (pitches) per batsman. Six bowls is known as an over. Cricket is traditionally played with 20 overs, but the Cricket Cup is played with only eight overs due to time constraints. Kannan said cricket is a game of unity, and the love of the game is what brings people together, so he said it is important for ISA to continue the Cricket Cup. Kannan said his goal as president of ISA is to spread the culture of India and create a community atmosphere for other Indians and students alike.